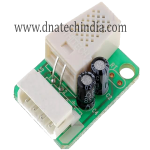 Buy ADC 0808 Analog to Digital Converter Online at LOW price on dnatechindia.com. Delivery all over India. 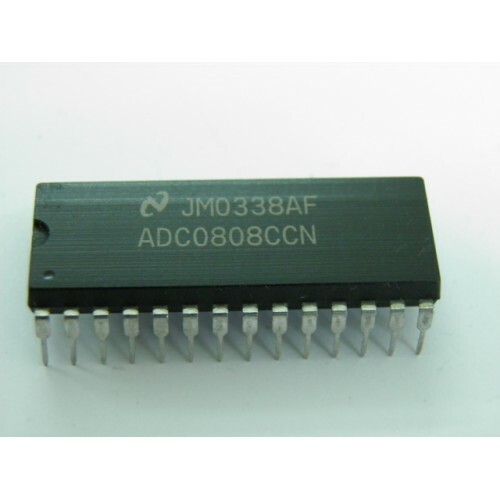 The ADC0808 data acquisition component is a monolithic CMOS device with an 8-bit analog-to-digital converter, 8-channel multiplexer and microprocessor compatible control logic. The 8-bit A/D converter uses successive approximation as the conversion technique. 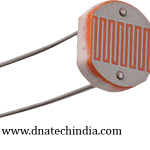 The converter features a high impedance chopper stabilized comparator, a 256R voltage divider with analog switch tree and a successive approximation register. The 8-channel multiplexer can directly access any of 8-single-ended analog signals. The device eliminates the need for external zero and full-scale adjustments. 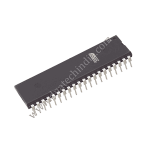 Easy interfacing to microprocessors is provided by the latched and decoded multiplexer address inputs and latched TTL TRI-STATE outputs. The design of the ADC0808 has been optimized by incorporating the most desirable aspects of several A/D conversion techniques. The ADC0808 offers high speed, high accuracy, minimal temperature dependence, excellent long-term accuracy and repeatability, and cnsumes minimal power. 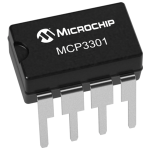 These features make this device ideally suited to applications from process and machine control to consumer and automotive applications. 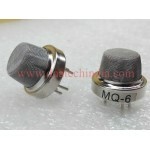 MQ6 LPG GAS SENSORMQ6 is LPG Gas Sensor. 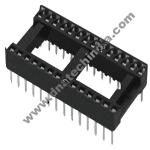 MQ6 Gas Sensor is used to detect the presence of a dangerou..
Light Dependent Resistors, LDR 12mmLDRs or Light Dependent Resistors are very useful especially in l..
28 PIN IC BASE IC Base or sockets are usually preferred instead of directly soldering I..
AT89S51: ATMEL's 8-Bit, 40 Pin Microcontroller The AT89S51 is a low-power, high-pe..
ADXL335 Accelerometer SensorThe ADXL335 is called as accelerometer sensor or also a tilt sensor it i..
MCP3301 13-bit Analog to Digital Converter (ADC)The MCP3301 13-bit Analog to Digital Converter (ADC)..